Nebraska Nut Growers Association and Heartland Nuts ’N More co-op are sponsoring a seminar, Growing a Nut Orchard for the Future, about growing nut trees in our area which produce quality nuts. The seminar will be held on Thursday, Feb. 21, 7–9 p.m. at the Lancaster Extension Education Center, 444 Cherrycreek Road, Lincoln. No cost to attend. If you want to plant just a couple nut trees or an orchard, you will find this seminar informative. There will be door prize drawings of several seedling nut tree and nut seed varieties. Some products Heartland Nuts ’N More produces from nut trees and nuts will be on display. Black walnut, pecan, chestnut, hickory and hazelnut are the most common nut trees for our area. 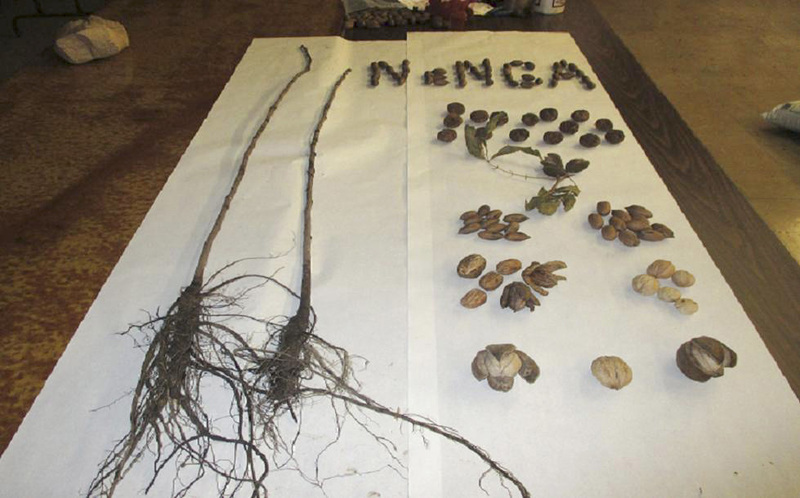 Growing nut trees can be a great family activity now and for the future. This seminar will introduce you to most aspects of what it takes to accomplish your goals and expectations. There will also be professional growers on-hand to answer your questions. • Understanding the growing of nut trees in the Midwest. • Planning phase will cover setting realistic goals and needed resources to meet your goals. • Planting phase will cover planting considerations and seedling selections. • Caring phase will cover tasks required to bring a seedling to a productive producing nut tree. • Harvesting tasks will cover harvesting techniques, processing and the marketing of your nuts.